The band Foreigner which formed back in 1976 has been a longstanding contributor to supporting and promoting Shriners Hospitals. Led by guitarist Mick Jones and singer Kelly Hansen, Foreigner is one of the top-selling bands of all time, selling more than 80 million recordings since their founding. They have donated money for the Shrine's pediatric hospitals ever since 2008, and have raised $300,000 for them from CD sales at their shows. Now for 2019, Foreigner has teamed up with the Shrine by creating a new recording and video of their biggest hit song, 1984's I Want To Know What Love Is, featuring a children's choir of young patients from the hospitals singing portions of the lyrics. Hansen adds, "Being involved in this is all really good, but getting to share it with the kids is really the best part for me..."
The song's re-release and the video is available on ITunes and GooglePlay as of January 1st (watch it via the link above), but a news story and preview can be seen on the WFTS-TV Tampa Action News website HERE. A longer excerpt of the video an be seen on the Shriners Facebook page HERE. 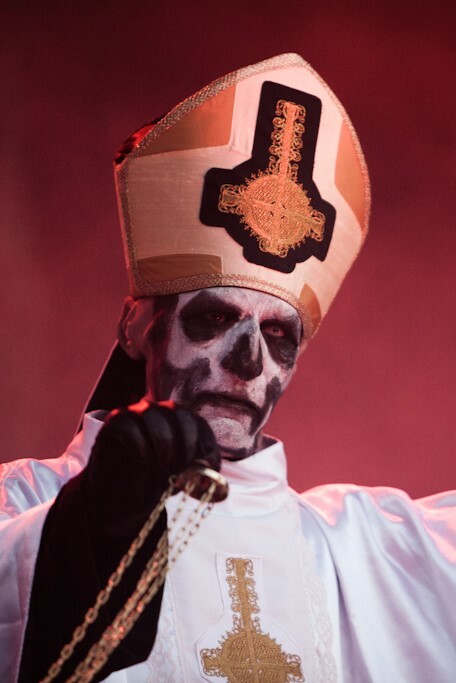 And before anyone asks, I have no idea if Jones, Hansen, or any of the band's other members belong to the Masonic fraternity. While Freemasons are fully aware of the connection, the vast majority of the public don't realize that all Shiners are, in fact, Masons. Shriners International is an appendant body of Freemasonry that requires its members to belong to the Masonic fraternity before joining their well-known red fez-wearing organization. It is the best-known public face of Masonic charitable giving and philanthropy operating twenty-two pediatric hospitals that provide specialty orthopedic and burn care at no cost to patients and their families. 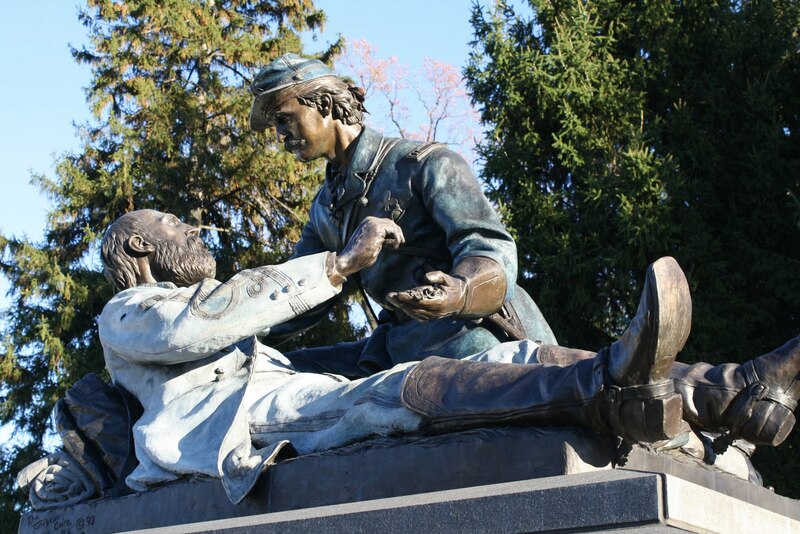 For more information about the Shriners, their hospitals, and membership, see their website HERE. It's a slow week for Masonic news, so I thought I'd resurrect a Christmas holiday diversion from a few years back. Back between 2005 and 2008, I was asked to contribute to my brother-in-law's monthly Texas organic gardening magazine, Living Natural First. As I protested at the time, I didn't know the first thing about organic gardening, which was just fine with him. He wanted some lighter relief from the rest of the magazine's monthly dose of compost, leaf mold remedies, and the gardener's astrology chart. The result was an ongoing column entitled Pilgrim's Progress: Rustic Tales of an Organic Greenhorn. The Pilgrim columns generally followed the fictional story of a couple who move to the country from the city – he was an urban creature who couldn't tell which end of a hammer to use to properly twist a screw into a wall, while she was a child of the 60s, completely enthralled with living her utopian vision of an environmentally healthy lifestyle on pennies a month. Together they fought the battle of garden slugs, home improvement, industrial tool rentals and marauding rodents. After two years or so, I had tried to back out of the column, which apparently resulted in an insurrection from a group of Baptist church ladies in Wichita Falls who gathered every month specifically to read the monthly Pilgrim story aloud to each other. They telephoned Bob to say that if I didn't come up with a Christmas story that year, my eternal soul was at risk of being negatively testified against at Peter's Gate by these otherwise kind and compassionate ladies. The result of their threats is presented below, in lieu of any actual Masonic items. It’s the sort of heartwarming lyric I can imagine Erwin Rommel barking at his wife when she suggested an artificial tree to him, as he was headed out the door to Libya to go command the Afrika Korps. Long about September, she’ll take the opportunity to wander past my desk and casually make an offhand remark about how the average acre of uncut pines and firs generates enough oxygen every day to keep 18 people breathing, or that 21 million trees were mercilessly hacked down in the prime of life last year, and that if every American man was as shamelessly pigheaded about Christmas trees as me, 446,996 acres of trees would be whacked down. At 18 people’s daily oxygen, per acre, I’d be personally responsible for suffocating 8,045,928 of my fellow citizens. To which I reply, if that includes the lady who cut in line in front of me at the grocery with 215 items in the ‘12 or Less’ lane, armed with a suitcase filled with expired coupons, that would be okay by me. My father has never in his 87 years of life paid for a Christmas tree, and he taught me all of the tricks of the trade. Overwhelmingly, his preferred manner of tree shopping involved long afternoon drives in the country searching for just the right combination of isolated location and questionable property ownership, returning as dusk fell to quickly chop down his prize. 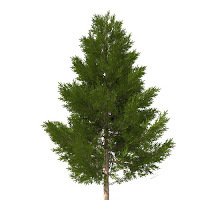 Over the years, we had a wild variety of trees – the standard pines, firs and spruces, and the not-so-standard hemlocks, cedars, cypresses, and arborvitaes. Some were downright dangerous to the touch, with the same sort of prickly nature as a cactus plant, which made the hanging of lights and ornaments a hazardous occupation. And true, there was the occasional bird or rodent that rode into the living room, buried deep within the tree’s hidden recesses. Some of my fondest memories were of Dad, heady with the scent of the hunt and emboldened by a couple of tankards of spiked nog, chasing a startled starling around the house, frantically batting at it with a broken pool cue stick. The holiday tradition was what really mattered, and it added a sense of wild adventure to our celebrations that other less adventuresome, retail-enslaved families missed. “And the price was right,” Dad would always say, cheerfully. Obviously, as he got older and we moved to more densely populated urban areas, this became a more challenging activity. After all, the local bank branch or office park looked with prejudicial disfavor at the destruction of their expensive landscaping for the sake of one gritty, Depression-era gentleman’s ideas about Christmas celebration. And honestly, I thought it was a little over the top to call me wanting bail money that first year in the city. Especially during the busy holiday shopping season. Technology has come to the aid of the modern Christmas tree shopper in the form of the Whack & Heckler 18-volt rechargeable, cordless chainsaw – a tiny titan of the tool world that makes quick work of surreptitious Nöel deforestation, especially in the gathering gloaming of December’s early sunsets. This year, I was especially happy with my choice – a six foot evergreen of some sort or other, discovered down a ravine far from civilization – because it sported what appeared in the bitter cold dusk to be tiny, baby-sized pine cones. I quickly channeled my inner Paul Bunyan, felled it, dragged it up the hill like a prize of war, lashed it to the roof of the car, and drove homeward. Once I had mounted it in its stand in our living room, my sweetling was less than impressed. “It’s shaped funny,” she noted, “and it isn’t even green.” True, I had to admit that, once in the tungsten glow of our home, it did indeed look more brownish than greenish. She soon warmed to the combination of the season and the pioneer spirit of adventure. Well, she at least warmed up enough that she soon helped me decorate the new tree. We strung the lights and hung our delicate ornaments. Against my own personal artistic judgment, I even let her heave great wads of shiny aluminum tinsel all over it – her own family’s favorite (if somewhat ghastly) decorating tradition. Frankly, I had to admit that the strands of shredded chrome helped to hide the brown looking branches. But we did take extra care to put lights close to the baby-sized pine cones to highlight their natural beauty. Two nights later I was standing in the garage, on the other side of two closed doors, when I heard a shriek she usually reserves for finding Plymouth-sized spiders in the shower, or raccoons in the refrigerator again. I ran in to find her standing across the living room, pointing in horror at the Christmas tree. Sure enough, upon close examination, the pine cones were convulsing and bulging, with the unquestionable activity of something inside trying to escape. Into our living room. 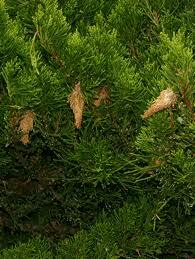 It seems that my baby-sized pine cones were, in fact, a rather active infestation of bagworms. Warmed by our central heating system and the close proximity of Christmas lights, the caterpillars inside of the cone-shaped brown sacks had thawed out and were now seeking to relocate. One had fallen to the floor, and the dachshund had already sailed triumphantly down the hallway with it held aloft like a trophy. There was only one thing to do. I opened up the sliding glass door to the patio, picked up the tree, and heaved it out into the yard as far as I could in one hurl. A beaten man, I pulled on my coat, went out into the cold, retrieved the stand and the ornaments, and then dragged the fallen symbol of my pioneer spirit to the back of the yard where the caterpillars could refreeze in peace. I would later bone up on bagworms, and discover that I would have to pull all of the bags from the tree and burn them, since they were filled with eggs laid by the female worms, and would only go on to infest the evergreens in our yard next year. Since the tree was already chopped down anyway, up the whole thing would eventually go in a blaze to its Tannenbaum Valhalla. Some traditions fade away, while others die a much quicker death. My holiday tradition took just long enough for a drive to the Hardware Hut to be smothered completely. I now sit puffing my pipe and sipping my nog, looking at a wire and plastic thing masquerading as a tree. It did just take five minutes to set up, with no fuss, and no risk of arrest for criminal trespassing. If I squint a bit and sit across the room, it looks just like the real thing. The evergreen-scented air freshener completes the illusion. And there will be no pine needles to clog up the vacuum, and certainly no bagworms to evict. I can pack it up the day after New Years, and no one will ever know. The ultimate champion of the night, Jackie Fuchs, successfully answered "What is the Scottish Rite"? 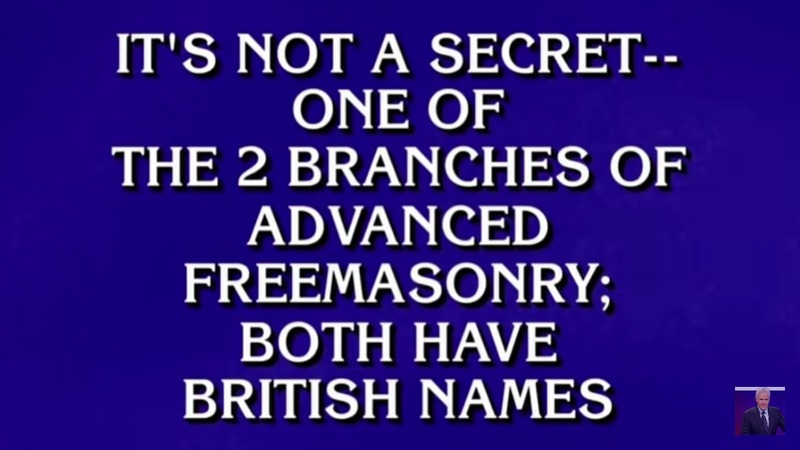 I suppose we should at least be grateful that ANY of the three contestants was aware of Freemasonry enough to know. 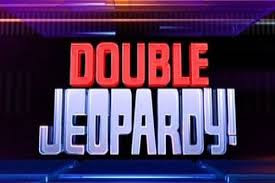 My guess is that 56 years ago or so when Jeopardy! first went on the air, all three would have known of the Scottish or York Rite, or even both. Here is the archive of all questions and answers from the episode. 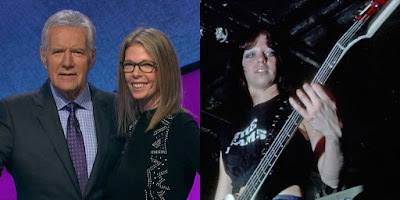 Jackie Fuchs is currently a writer and an attorney from Los Angeles, but in her earlier days, she went by the name of Jackie Fox and was the bass player for the teenage all-girl band, The Runaways, between 1975-78, back when the world was young and dinosaurs ruled the Earth. 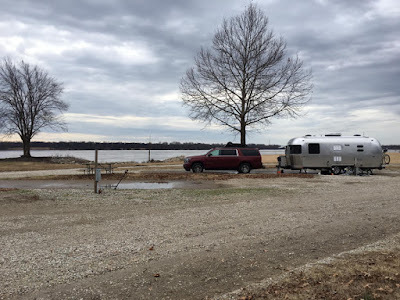 Alice and I are on the road for the next two weeks, so I have limited web access and opportunities to do much in the way of hunting Masonic news items or posting regular updates. But I do want to direct attention to Brother Greg Stewart’s outstanding article this week over on the Freemason Information blog. See: The Death of Freemasonry: When Change Changes You. There is so much outstanding analysis and insight about the direction the fraternity seems to be heading these days packed into this one post, along with tough love over how we choose to respond to changes happening all around us. This is not a "Woe iz us, we iz dying!" sort of piece. 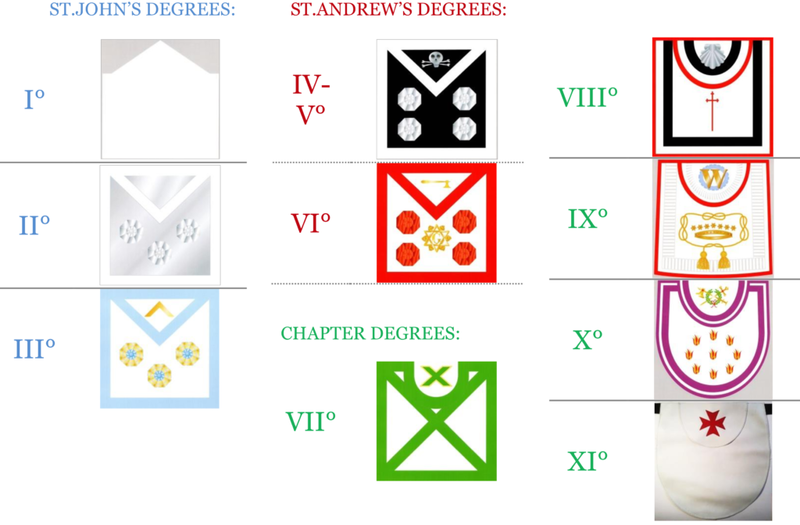 Instead of the usual "Ya' know what's wrong with Freemasonry?" type of barstool finger-wagging, Greg stipulates all of our ills as a given, and instead provides some serious recommendations and possibilities for the future. Along with a refreshing bluntness about our basic model of grand lodges and constituent lodges. Here's a clue: the answer isn't just "do the ritual better" and "guard the West Gate!" If you still think it is, the tar pits are thataway. This fraternity is facing massive shifts in the next decade and beyond, and Greg explores several possible scenarios. Meanwhile, we're parked along the mighty Mississippi River today. Cloudy and miserable, and river traffic is light. Alice thought she spotted a whale float by. Or a really big log. It's really cold, but not cold enough for Loch Ness. Let her claim it's a whale. Even with Brexit and the political fate of Prime Minister Teresa May dominating the news cycle in England this weekend, you can always count on the English press to keep the flickering flame of Freemason bashing alive. 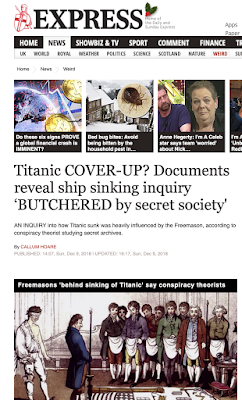 For absolutely no apparent reason, the Sunday Express yesterday felt compelled to post a tarted up story attempting to again link - wait for it - Freemasons and purported chicanery over the RMS Titanic sinking. The headline itself is designed to create a story where none exists. 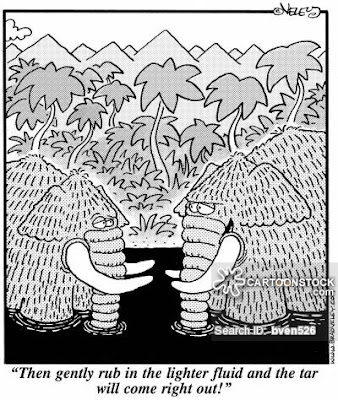 See 'Titanic COVER-UP? Documents reveal ship sinking inquiry ‘BUTCHERED by secret society' by Callum Hoare. I guess trolls have to make a living, too. 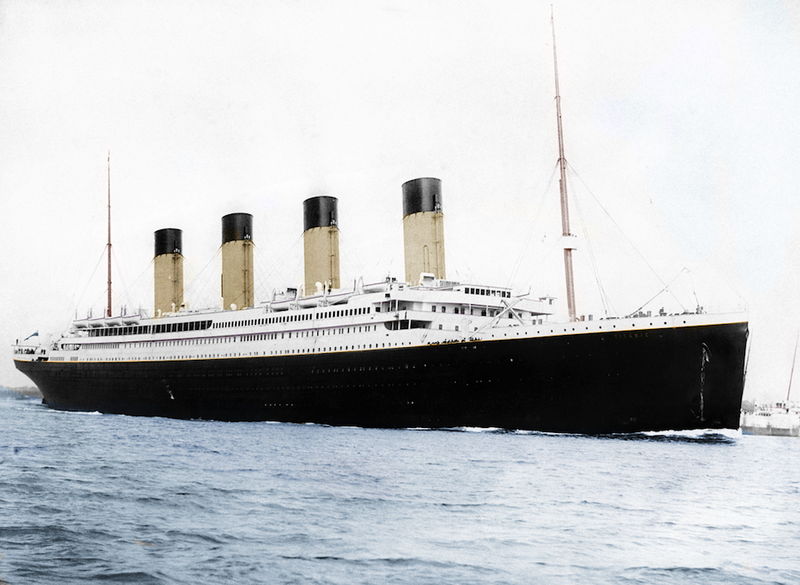 "AN INQUIRY into how Titanic sunk was heavily influenced by the Freemason, according to conspiracy theorist studying secret archives." Following the sinking of the Titanic on April 15th, 1912, England's High Court judge Lord Mersey headed up an investigation on behalf of the British Board of Trade in order to identify the causes for the tragedy. 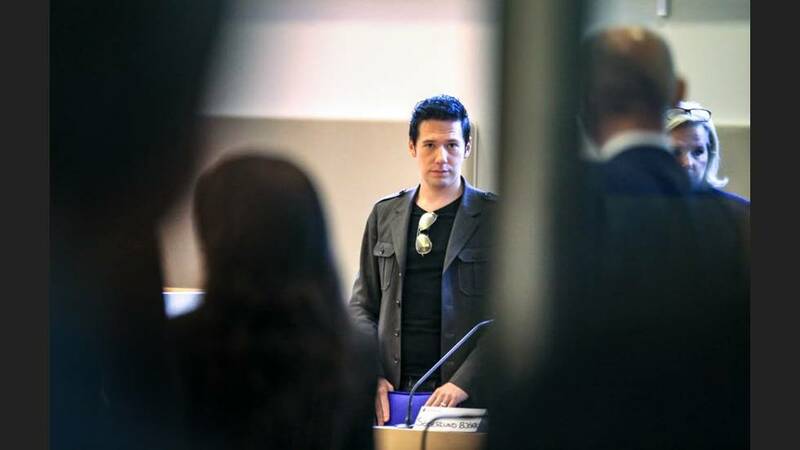 In the process, more than a hundred witnesses testified, including White Star Line employees, government officials, and survivors. 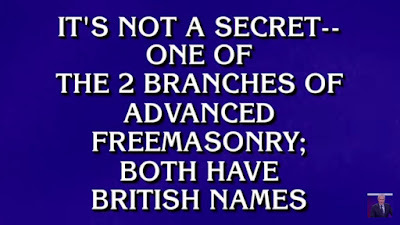 Given the popularity of Freemasonry at the time and the wide cross section of society who were interviewed, there's no surprise that there were Masons scattered throughout the group. Notably for conspiracy lovers everywhere, Lord Mersey (John Charles Bigham, 1st Viscount Mersey) was a Mason, as were a handful of men who were exonerated in the inquiry. 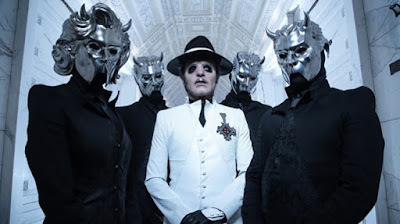 Naturally, the story attempts to make some sort of connection that isn't there and give the hoary impression that evil Brother Masons let each other off the hook - the most common thread in British anti-Masonric conspiracy theories. In 2015, the United Grand Lodge of England released an enormous historical public listing of their former members since their beginnings three centuries ago to Ancestry.com. 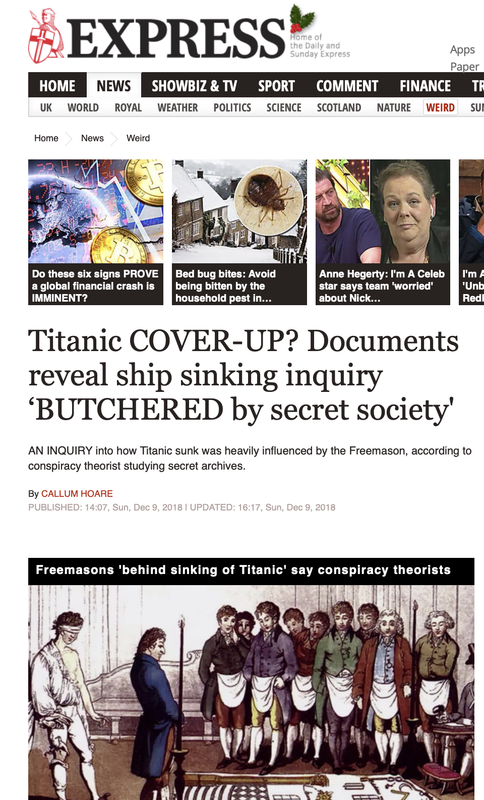 And in typical English fashion, the press and the conspiracists came out of the woodwork hunting up former Masons and attempting to link them with various purportedly nefarious historical events. This Titanic non-story actually goes back to the very first week in 2015 that the list was made available. I've now reread the article four times, and try as I might, I'll be damned if I can find the actual name of this alleged 'conspiracy theorist' who is 'studying secret archives' that are hardly secret to anyone (see HERE). So an article makes an allegation by association (secret society members are BUTCHERS! ), based on casual inference by a totally unknown and unnamed source whose name seems to have been omitted out of either sloppiness or deliberate obfuscation - if it's anyone besides reporter Callum Hoare himself just rehashing an old 2015 article. And it made it into print. So we're back to "Iceberg, Goldberg, all the same. Masons the lot of 'em." Although as my friend Jeff Naylor rightly reminded me, the author managed to miss the usual guaranteed trope of English reportage: "Masonic icebergs with dodgy handshakes and rolled up trouser legs, I say." When fakery is the coin of the realm of the Fifth Estate these days, is there any wonder why they have become less trusted by the public than even the most dishonest of political hacks? Anytime the subject of women and Freemasonry pokes its head up, I'm well aware that the brickbats and hand grenades start flying. I know how this goes. Shrieks of "Women CAN'T be Freemasons!" come pouring out onto the message boards and Facebook comments. The blood drains from the faces of grizzled Past Masters and fresh faced new Master Masons alike. At least a dozen self-satisfied sniggerers feel compelled to bring up Senior Deacons and exposed breasts. At least two dozen bring up the Order of the Eastern Star. And there is a great gnashing of teeth. Of course, women can be Freemasons. There have been female Masons (and not the just ones who listen at keyholes or fall out of wardrobes into meetings while spying) since the mid-1700s. Between 20-25% of the Masons in France are women right now. Regular, recognized Freemasonry doesn't recognize them, they can't attend our meetings, we can't attend theirs. But they do exist, and in decent enough numbers to be taken seriously. With that in mind, the most recent issue of the United Grand Lodge of England's magazine Freemasonry Today arrived this week featuring an interview with MW Christine Chapman, Grand Master of the Honourable Fraternity of Ancient Freemasons, the smaller of the two principal female grand lodges in England. 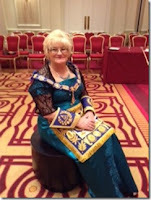 She's been a Mason for 42 years. Not long after this, the radical feminist Annie Besant travelled to France to join this movement and when she returned to England, she decided to formed the British Federation of the International Order of Co-Masonry in 1902, and remained its leader until her death in 1933. However, in true masonic fashion, there was a breakaway by members who wanted their Freemasonry to run along similar lines to UGLE. So in 1908 a new Grand Lodge was formed called the Honourable Fraternity of Antient Masonry, or HFAM, although they later added The Order of Women Freemasons to their title and are now usually referred to as the OWF. Up until this point, female Freemasons had used the term ‘sister’. But now they decided that as members of a universal brotherhood, it was more suitable to be styled as ‘brother’. Take note that while the UGLE doesn't officially have any sort of visitation relationship or actually grant recognition to the female grand lodges, they do cooperate. Their Grand Masters were invited to the gala 300th anniversary celebration of UGLE last year. 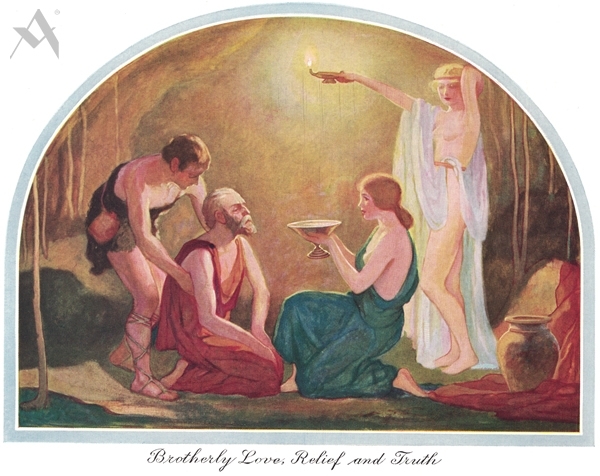 When ladies contact the UGLE asking about becoming Freemasons themselves, they do not rear up on their haunches, snort and harrumph about "NO WIMMIN," or offer up an alternative like the OES (which actually does not officially operate in England, and carries no standing with the UGLE). They cheerfully point to the two female grand lodges down the street. 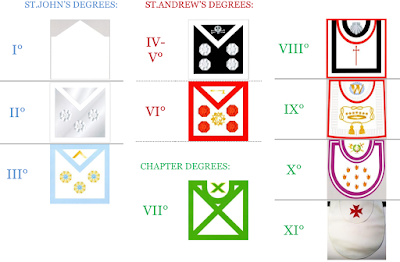 They even cooperate with each other with their University Scheme program, which seeks to introduce Freemasonry to college students by establishing lodges connected to college and university campuses. Interestingly, UGLE and the HFAF conferred with each other when they crafted their recent transgender policies last year, which were forced upon them by changes in English laws. All of this is a lesson U.S. grand lodges need to pay attention to as the society shifts around us. Just as American grand lodges ignored Prince Hall Freemasonry for two hundred years, we have done the very same with female Freemasonry in this country. 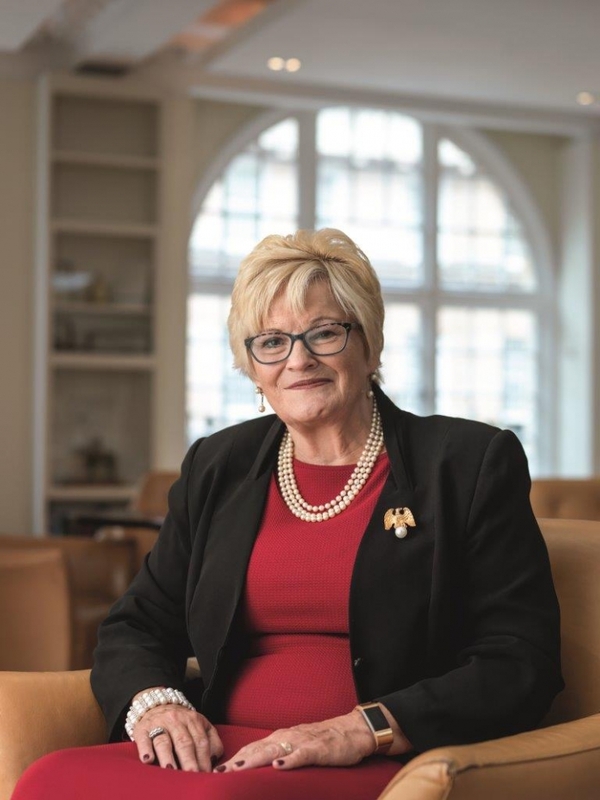 The Grand Master of the HFAF said in her interview that they are expanding and chartering lodges in India, Spain, Gibraltar, and Washington, DC in the coming year. There are numerous other female lodges already at work across the U.S. that almost none of us are even remotely aware of. American Masons have been able to pretend that the Order of the Eastern Star was sufficient for women to join as a panacea for legitimate Freemasonry, with suitable male Masonic lifeguards on hand to make sure they weren't actually conferring Masonic degrees. The internet, combined with societal upheavals and a shifting gender role landscape, is going to make the future very different.